Berlin is a fascinating city that never ceases to be renewed, with a frantic present and a painful past. Her visit raises a lot of baggage and emotions for the city’s visitors. Although there is not a minute to the town, and perhaps because of this, it is worthwhile for every visitor to the town to go out for a day outside the city, to see other landscapes, and especially to relax and release from the heaviness that surrounds the place. 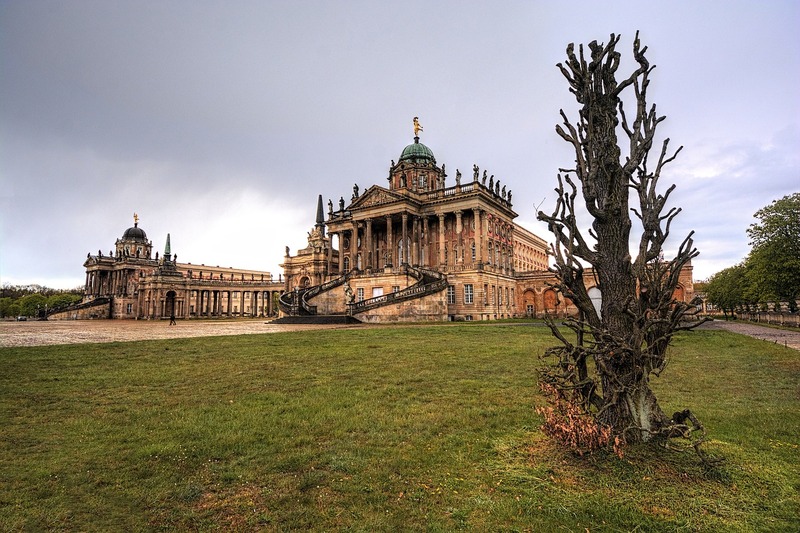 A short train ride from Berlin leads us to Potsdam, the capital and the largest city in the county of Riedenburg. Contrary to what is expected from a large city, it offers a peaceful and rural atmosphere and the tourist sites where most of them are concentrated not far apart. The arrival is simple and is done by a suburban train or S-Bahn train number 7. Alternatively, you may also take the Regionalexpress RE1 train towards Brandenburg / Magdeburg, which takes slightly less time at about 25 minutes, but only arrives every 30 minutes. Take a map at the tourist information station at the central station and go sightseeing in the city. Start the day at the beautiful Nikolaikirche Church. The church is imposing in its neoclassical style, and it is recommended to enter it. The entrance is free and the roof of the church for observation of the city costs about 5 euros. A map of Germany will make it easier for you to get to know its different areas. Tip: when you arrive in Potsdam, look for the nearby bicycle rent store and take a bicycle! It’s cheap (few euros) and just worth it. It makes a much different to travel Potsdam by foot or with wheels. Potsdam is not a small place, so – for cover and see as much as possible while having fun and relax with the fresh air and beautiful rivers, we recommend to try the bicycles. Another fantastic option is to take a boat ride along the Havel River and absorb the city’s beauty and landmarks from a unique and relaxing view. The main street of Potsdam, the Friedrich-Ebert Strasse, and its small branch streets offer plenty of luxury shops, restaurants, and cafés. If you have not eaten breakfast yet, it’s time. We found on the corner of the main street and one of the streets where a beautiful pastry shop was baked, where we savored a pastry filled with marzipan, a local specialty. 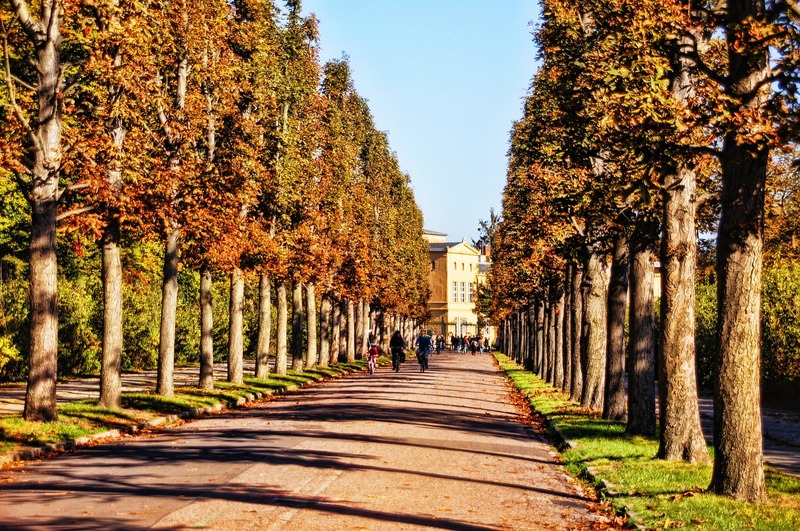 This is a great power throw before continuing the tour, which will lead us to the center of interest in the city – the park and the Schloss Sanssouci. Schloss Sanssouci Is the former summer palace of Prussian King Frederick the Great. The castle is surrounded by magnificent and spacious gardens, which, because of their resemblance to the gardens of Versailles near Paris, gave it the name Prussian Versailles. The palace was built between 1747 and 1745 to provide King Frederick with a private residence where he would rest from the burden of the royal palace in Berlin. The ornate palace, painted in yellow, is designed in the Rococo style, influenced by the personal taste of Frederick the Great. Frederick insisted that the castle be intimate and comfortable, so it had only ten rooms and the construction was at ground level. 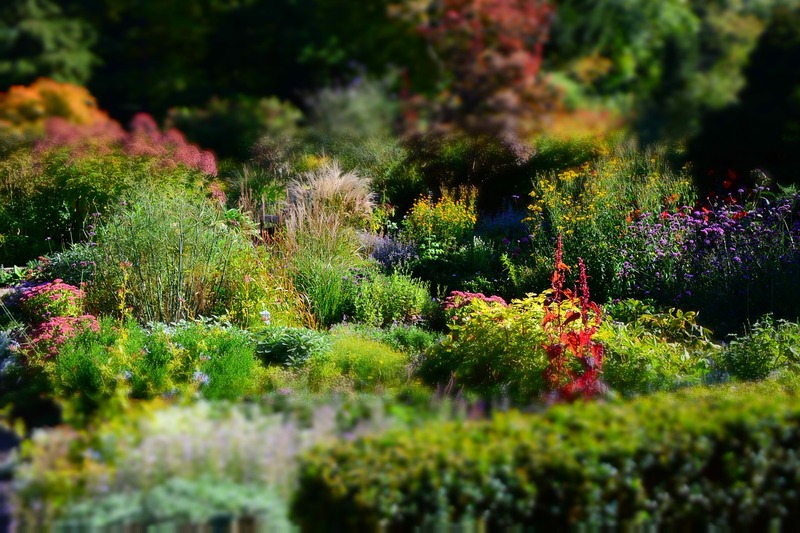 Plant lovers should also make time to explore the Biosphäre Potsdam, an indoor tropical botanical garden located in the Volkspark Potsdam, between the Sanssouci Park and the Neuer Garten. A mix of great tropical plants, animals and insects and tropical temperatures offer visitors a chance to step into a jungle atmosphere. Films lovers will be happy to visit the Babelsberg Filmpark. Potsdam is considered one of Europe’s largest film industry centers. Babelsberg Studios, which opened in 1911, is located in the Babelsberg district. Over the years, more than 3,000 films and television productions have been filmed, the most famous being the Big Angel and Metropolis. Next to the film studios is the movie park, where you can watch stunts and live shows; Go on sets of different movies, including West Wild-street, medieval village, oriental style garden or Soviet submarine; Have fun in a theme park shaped like a tropical jungle; Watch 3D movies and even take in producing a TV show. Especially suitable for families with children. Another attraction for children is the Exploratorium Potsdam Science Museum, with 100 interactive displays that allow children to participate in various experiments. 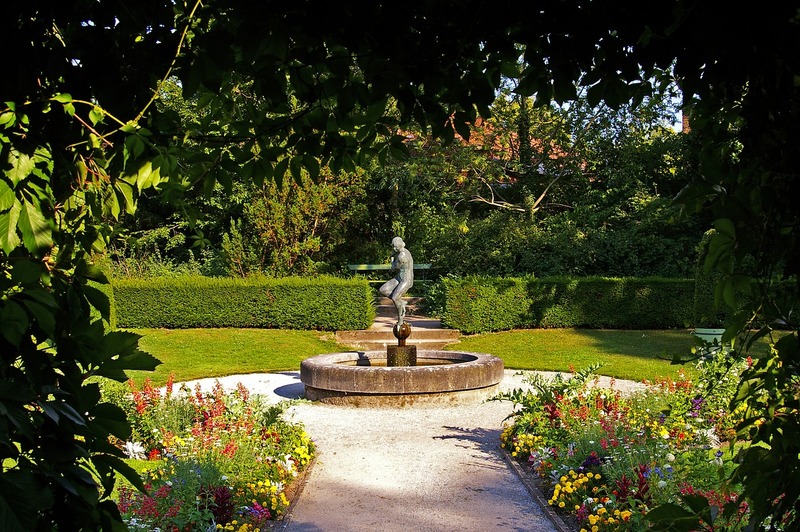 You can continue exploring Potsdam for many hours, even days, to enjoy the impressive buildings, unique architecture, parks, palaces, and flowering gardens. But Berlin calls us back, and although it’s a 40-minute drive from Potsdam, it looks like it’s a whole different world.